Description: This very scarce Vermont Cough Balsam is from the same Jarvis Burlington proprietor that produced the Jarvis Blood Renovator. 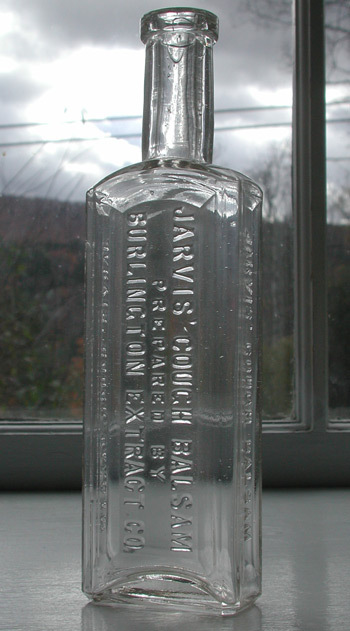 See my gallery photo’s for a labeled example of this Jarvis medicine. 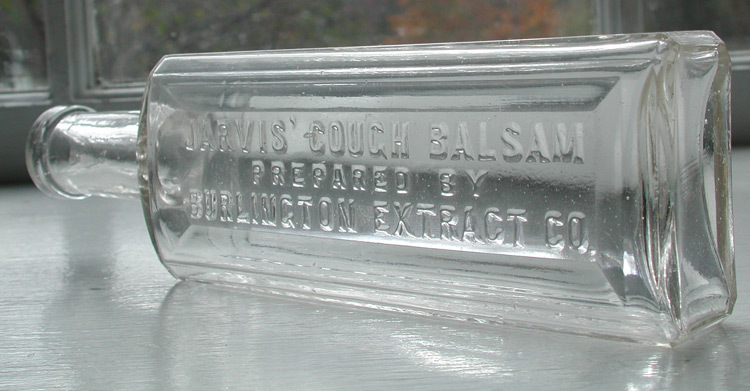 The Balsam bible, “A Bit about Balsams.” does not list this Jarvis Cough Balsam – I have seen only one other example of this bottle in the last 10 years. Condition: Very good condition, strong embossing.